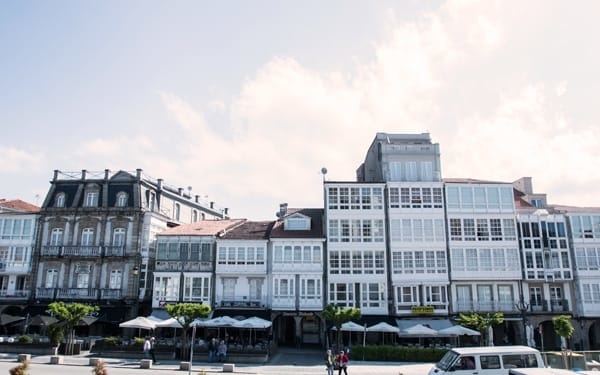 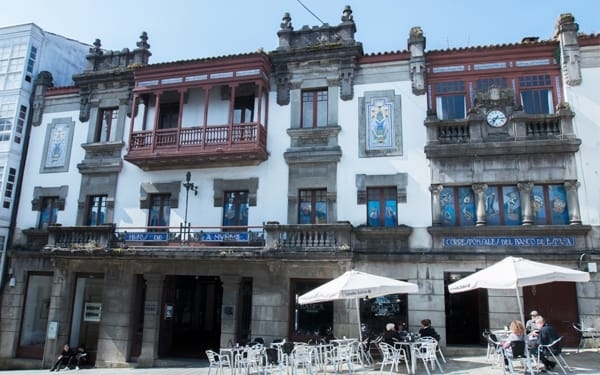 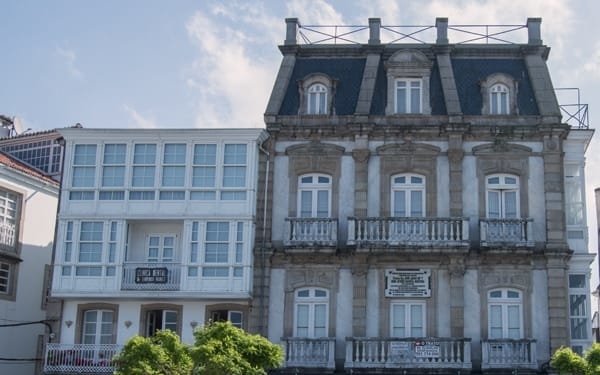 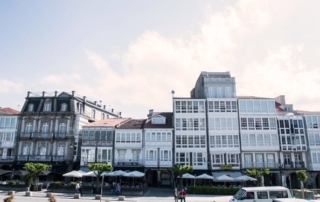 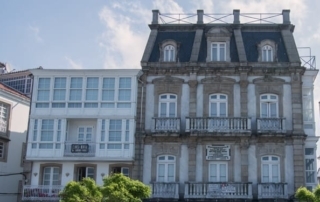 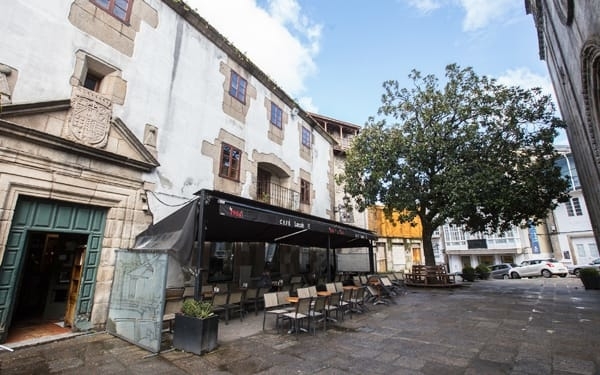 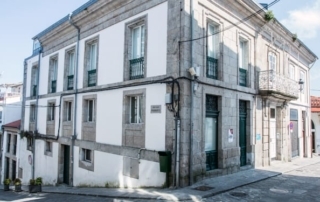 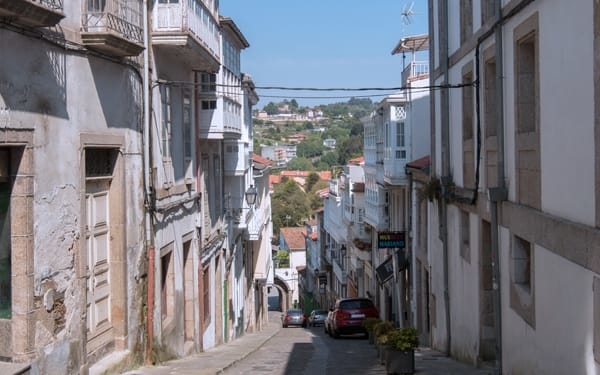 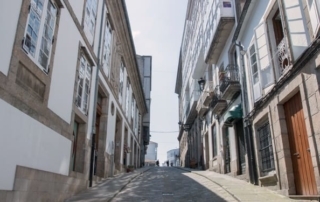 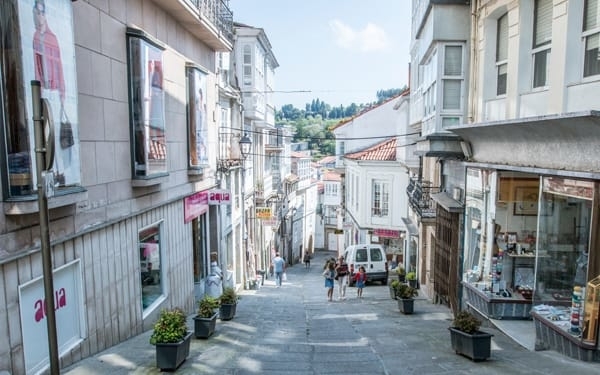 The historic centre of Betanzos was declared “Complex of Historical-Artistic Monuments” in 1970. 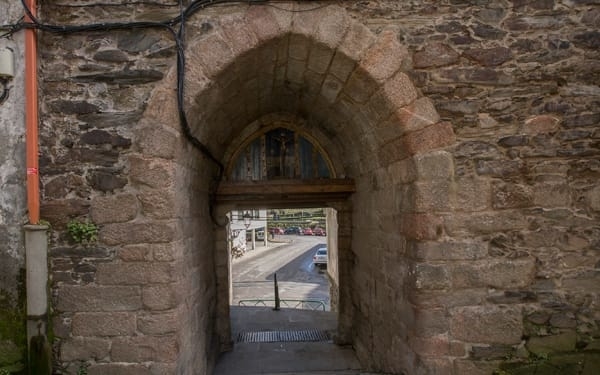 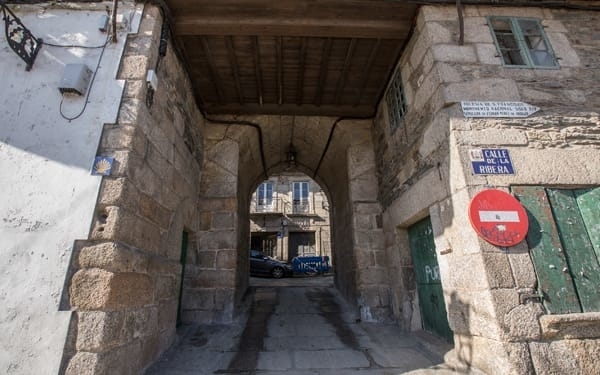 It was formerly located at the inner part of the ancient wall that surrounded the city and had five doors. The main one, Porta da Vila, was decorated with three emblems which today are encased in the side of a house. Despite not being preserved, its name is used as the entrance of the historic centre. 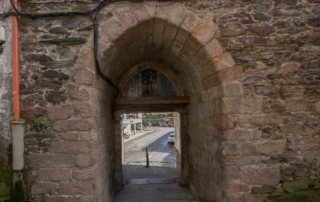 Nowadays, three doors remain standing: Puerta del Puente Nuevo, Puerta del Puente Viejo and Puerta del Cristo. 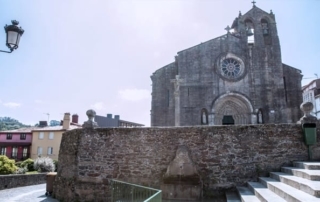 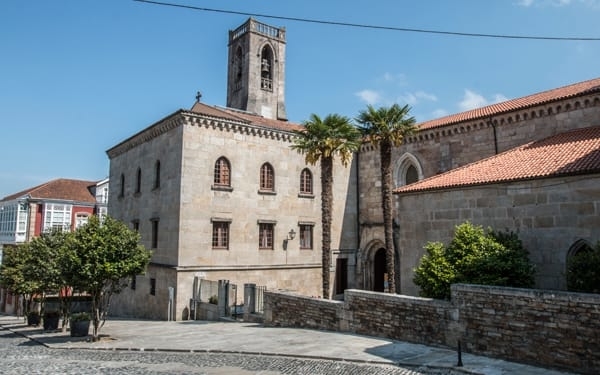 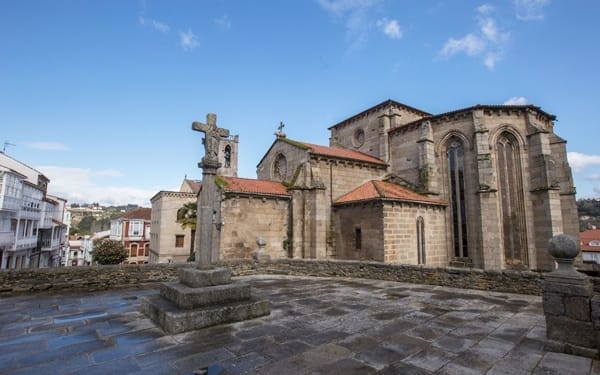 Betanzos has two national monuments: the gothic churches of Santa María del Azogue and San Francisco, located in the square of Fernán Pérez de Andrade, “O Boo”. 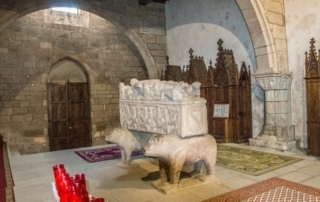 San Francisco has a Latin cross floor and inside you can find the tombs of the medieval knights that are the most interesting historical-artistic element of the temple’s interior, especially the sarcophagus of Fernán Pérez de Andrade, located at the back of the temple, under the choir, and supported by a bear and a boar. 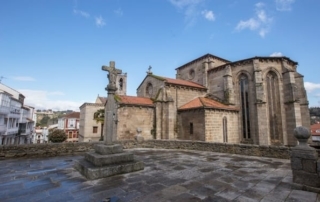 Santa María de Azogue was built between the second half of the XIV century and the first half of the XV. 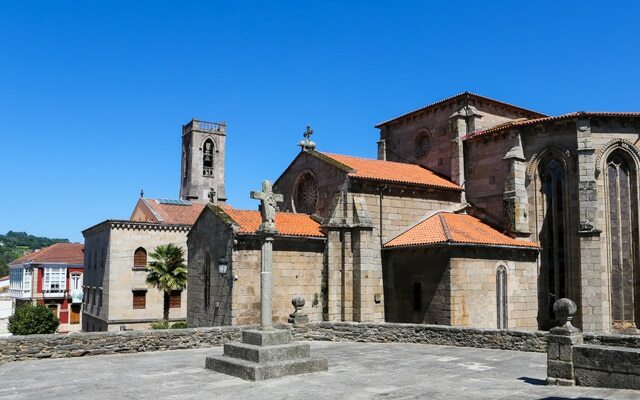 It has a basilica layout and three naves. 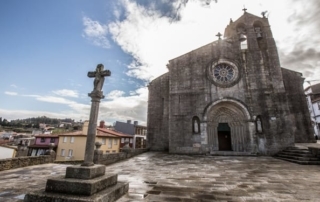 The main altarpiece and the capital with the only farming calendar of Galicia stand out. In the Plaza de la Constitución we find the city council house from the XVII century, work of Ventura Rodríguez, and the Palace of Bendaña, from the XV century, rebuilt during the XVII century. 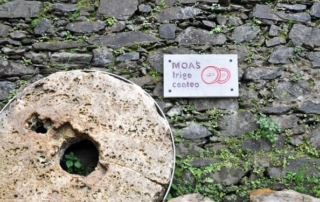 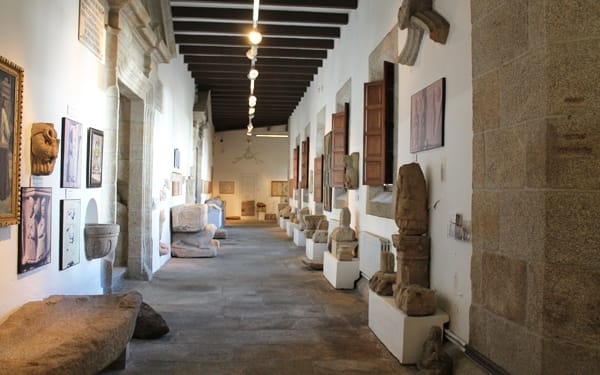 Next to it, we find the International Centre of Contemporary Images (CIEC is the Spanish acronym) at the ancient Casa Núñez. 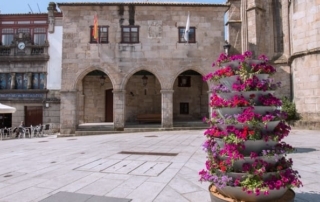 Dominating the square, the Clock Tower from the XVI century is attached to the Santiago church. 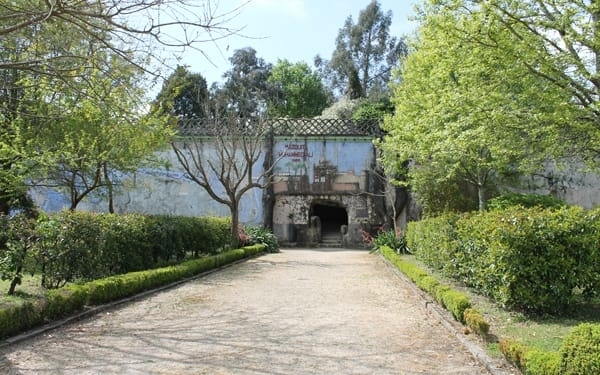 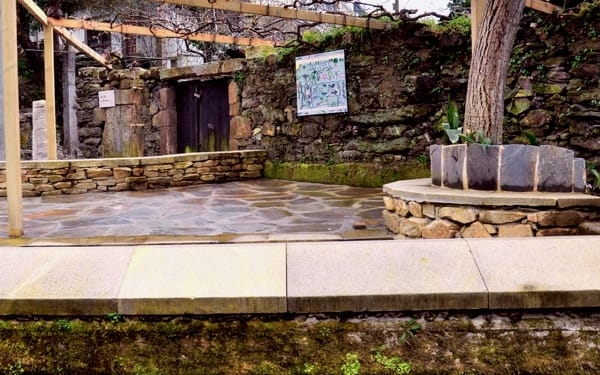 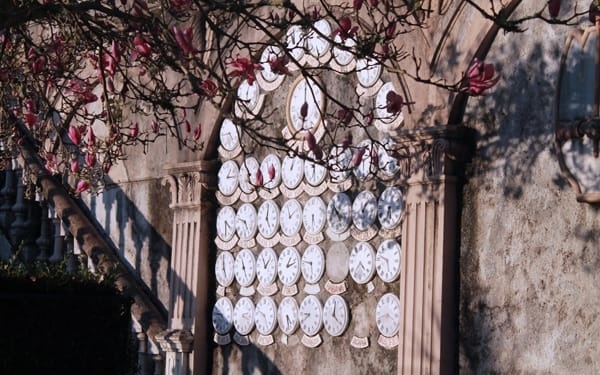 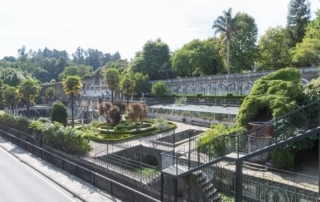 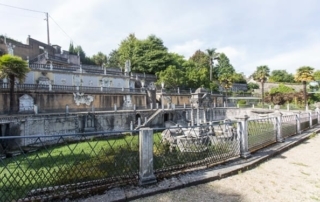 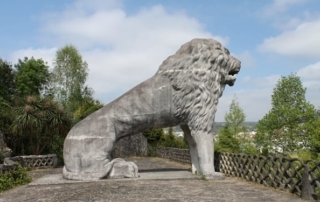 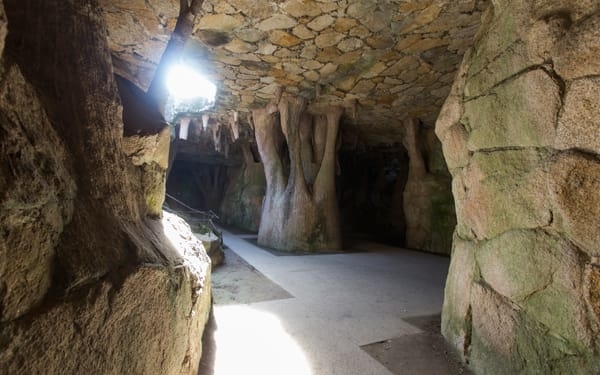 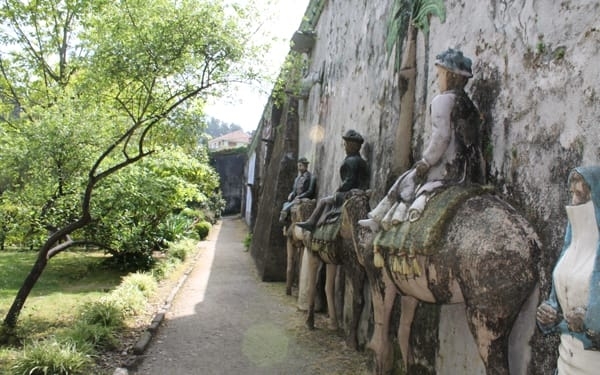 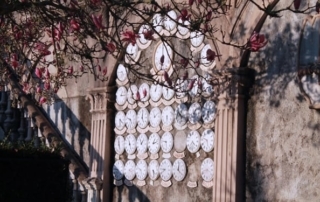 Located on the outskirts of Betanzos, the construction of this garden started between 1893 and 1895, designed and financed by Juan García Naveira. 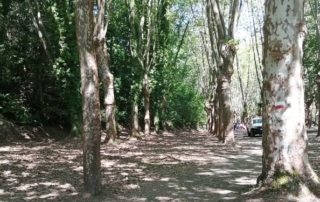 Only 10% is preserved from the original 90 000 m2 park. 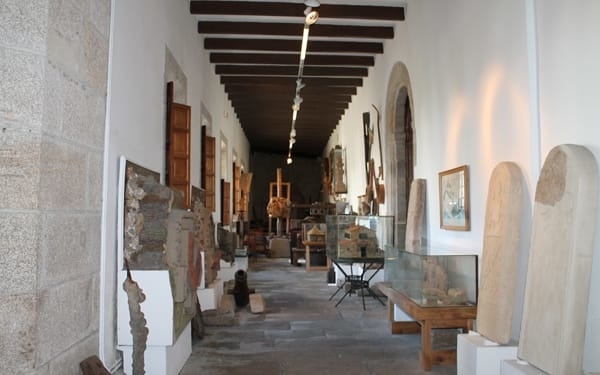 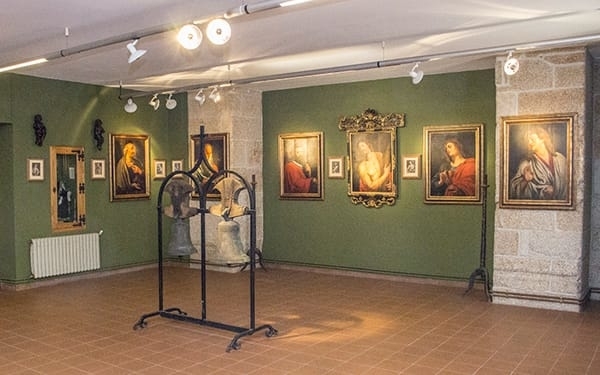 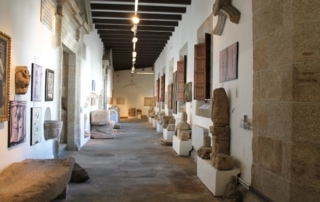 The Mariñas Museum was opened in 1983 and reopened in 1993, after the complete renovation of the building that houses it, the former convent of Santo Domingo (XVI-XVIII). 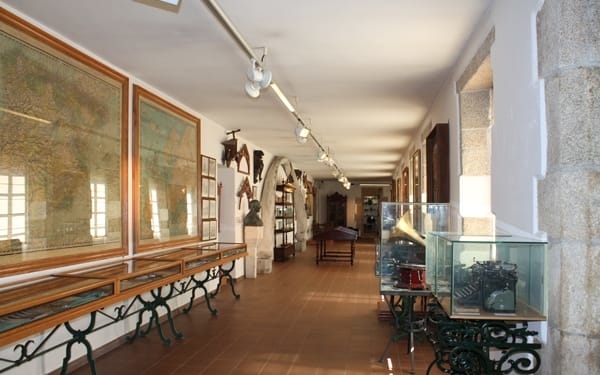 There, we can also find the library and the municipal archive. 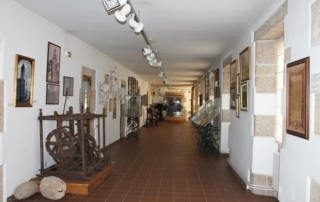 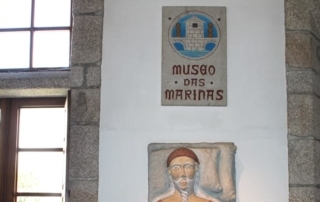 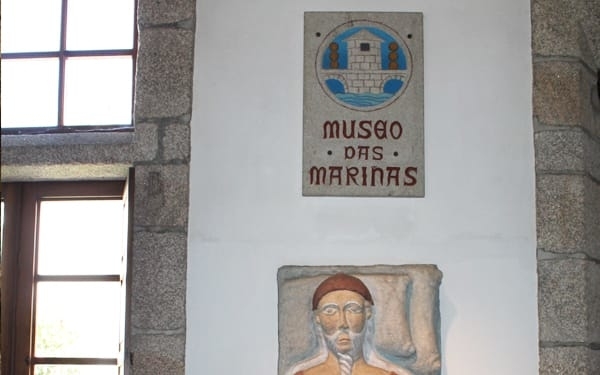 This museum has a variety of pieces that also make it a reference to Galicia. 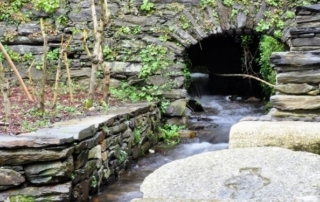 Its funds came from numerous private donations. We shouldn’t forget to outline the ethnographic aspect of the museum. 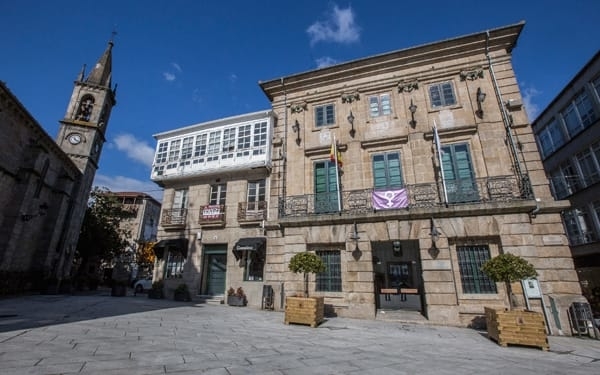 The CIEC Foundation (CIEC in its Spanish acronym) is located on Castro Street in the historic centre, at the Casa Núñez, a building erected by Rafael González Villar in 1923. 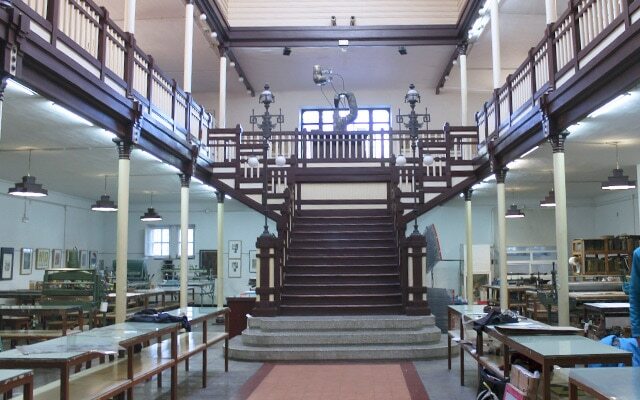 It is a graphic arts centre: there is a school, workshop, showroom, collection and library. 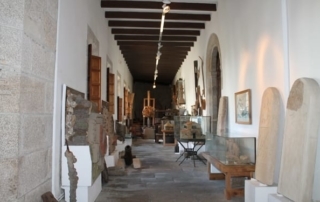 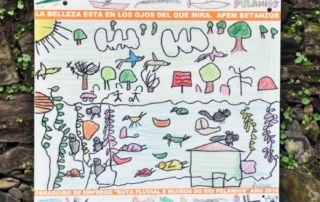 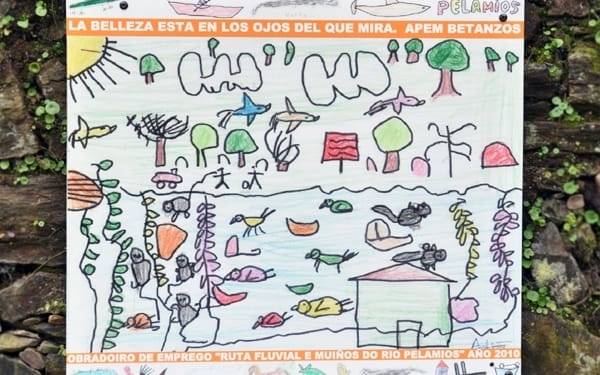 Its main objective is to promote and publicise the visual arts, especially the graphic arts. 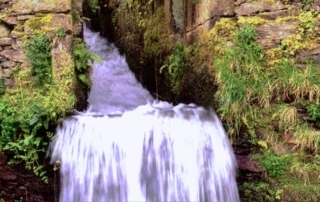 This is an area of scenic beauty where we can find the remains of 19 “maquía” mills (where one part of the milling was left for the miller). 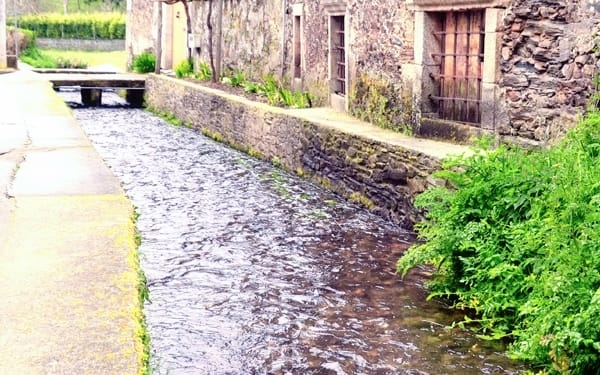 Nowadays, there is a hiking route that allows us to visit this beautiful landscape. 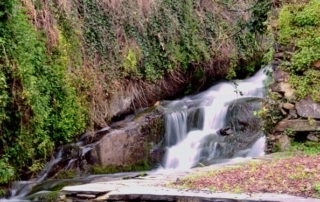 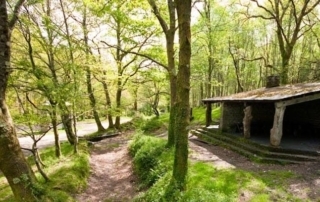 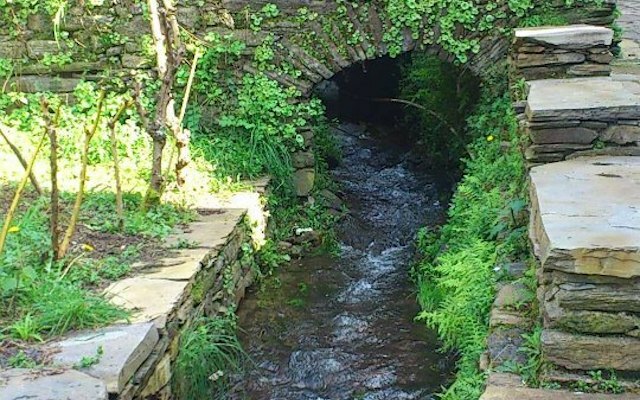 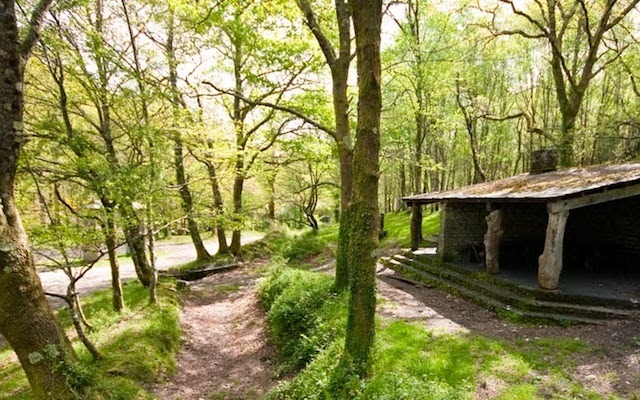 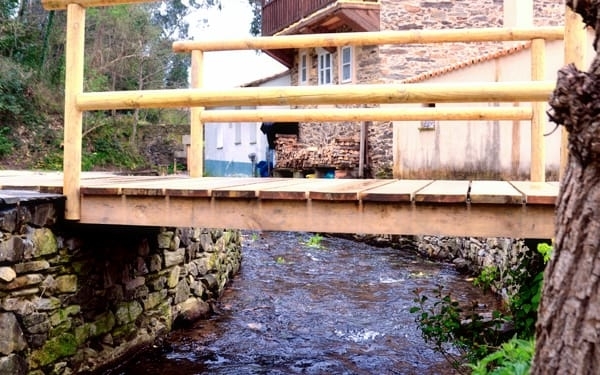 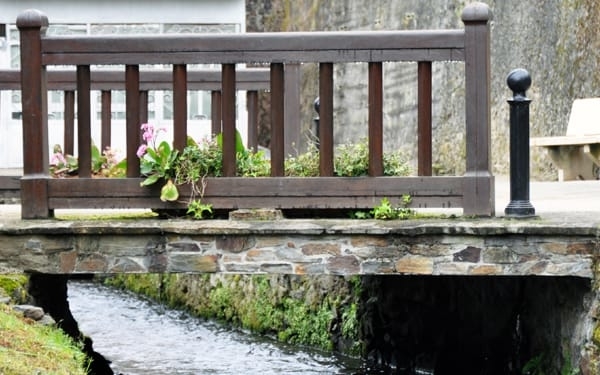 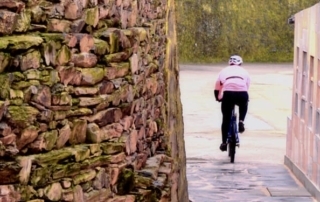 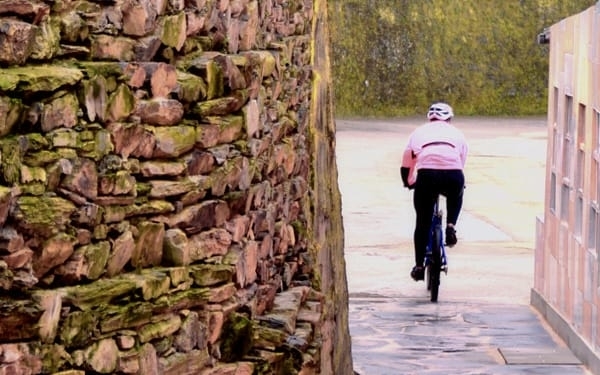 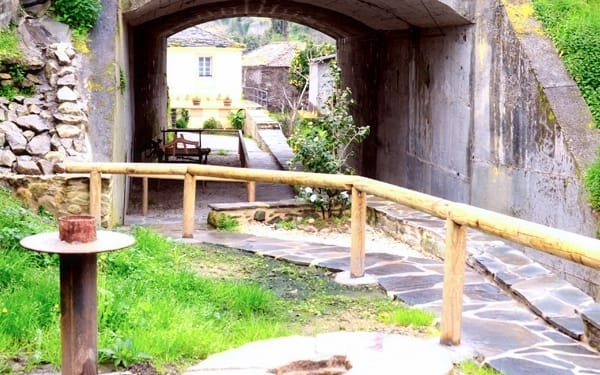 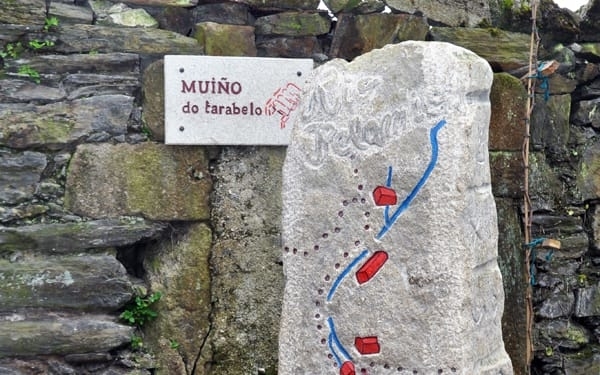 This hiking route starts at the Puente Viejo in the urban area of Betanzos. 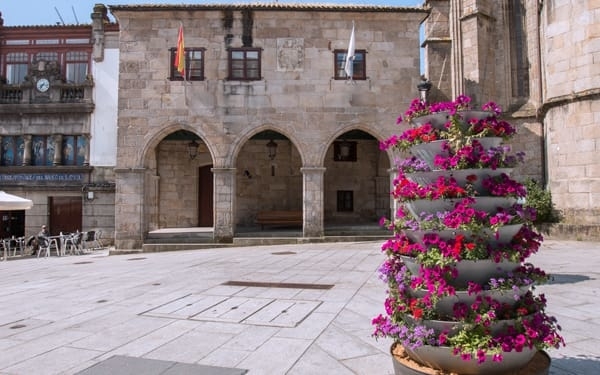 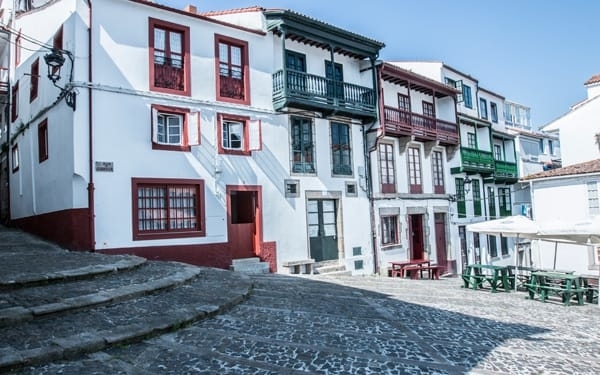 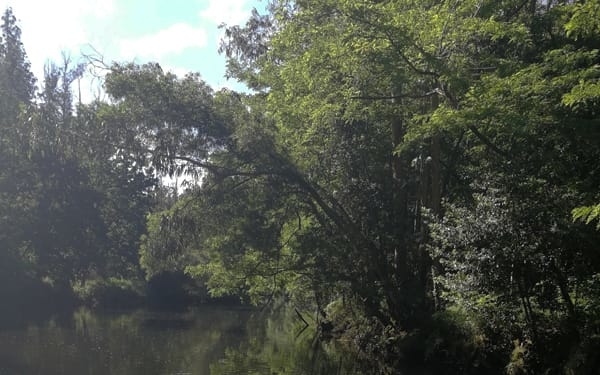 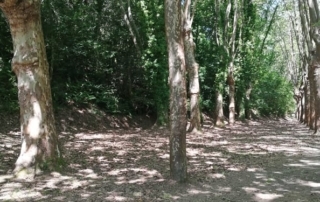 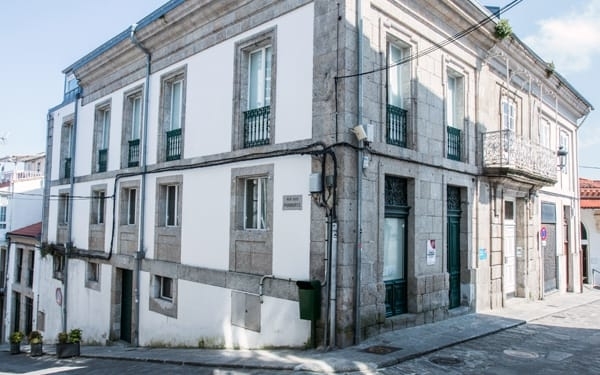 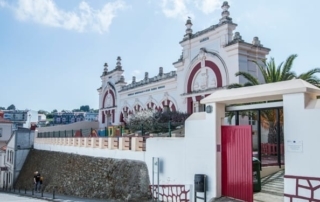 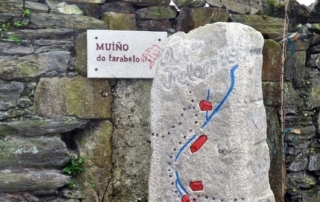 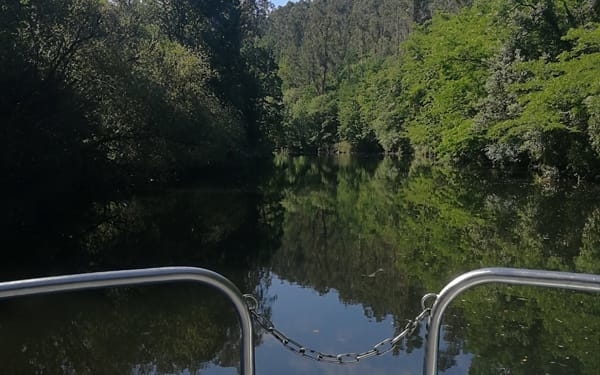 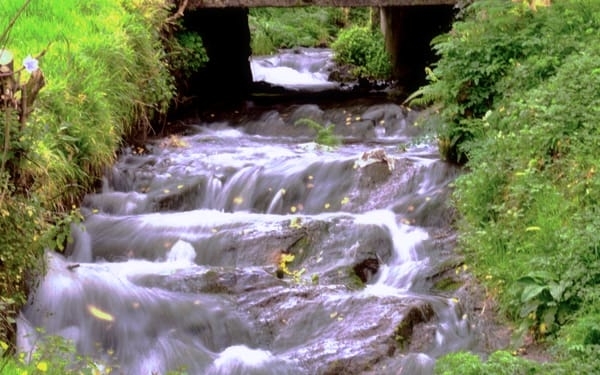 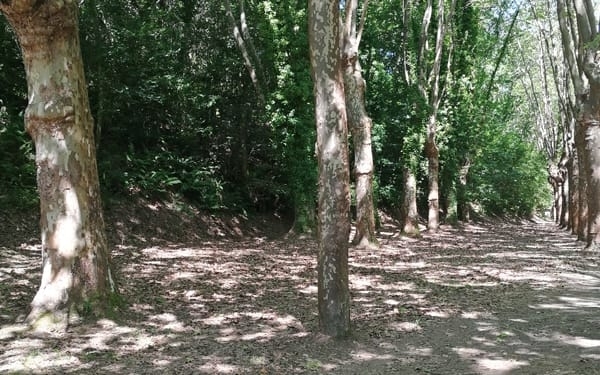 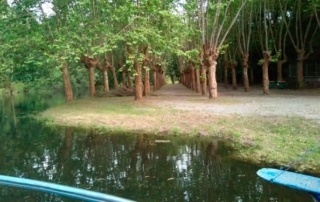 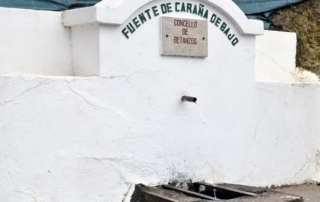 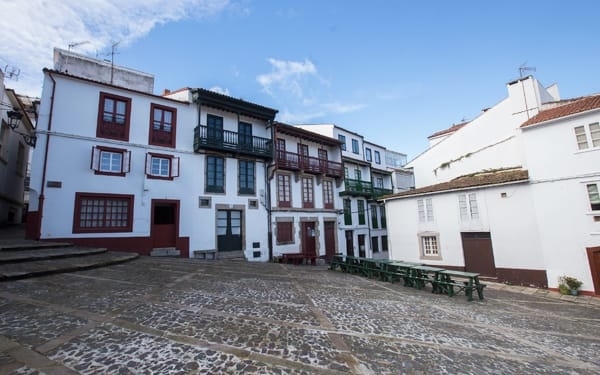 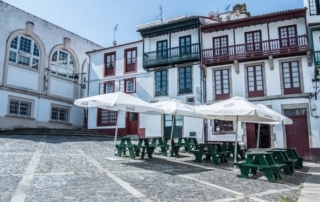 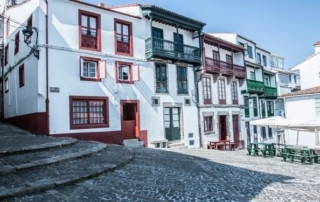 This low-difficulty 2.7km route goes along the bank of the Mandeo river until the well-known Campo de Os Caneiros, where the traditional pilgrimage is celebrated every year on the 18th and 25th of August.